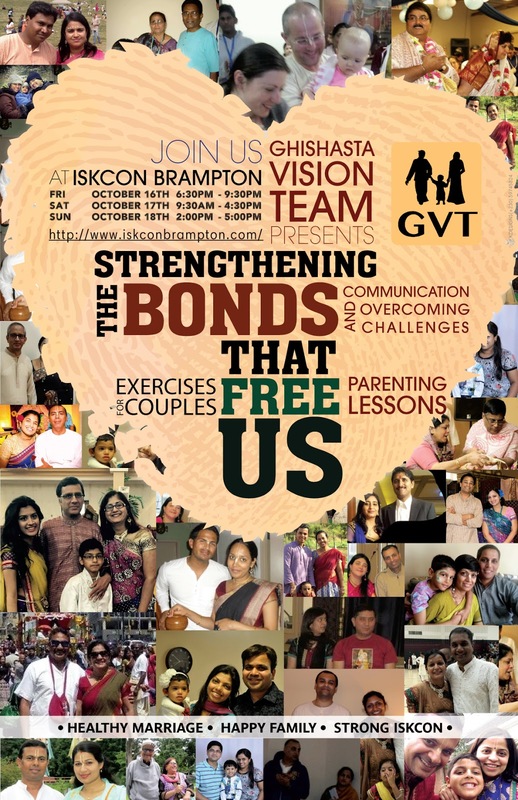 Seminar @ ISKCON Brampton - Strong KC Families ~ The Toronto Hare Krishna Temple! 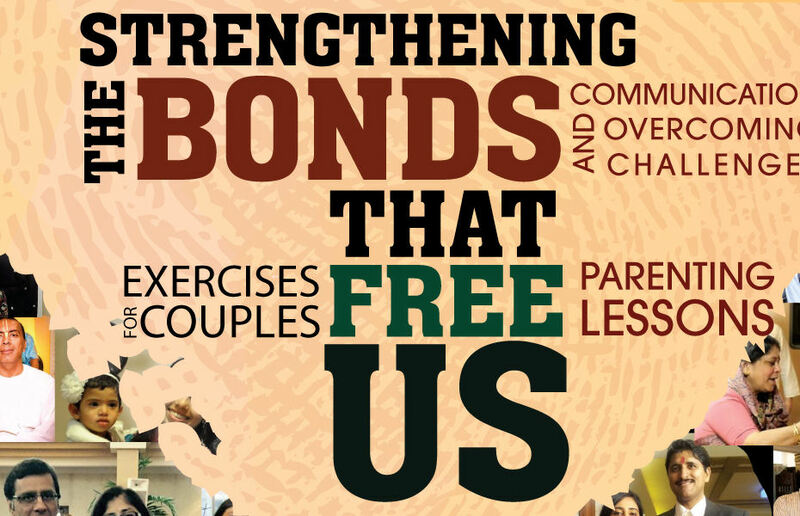 Strengthening the Bonds that Free us -It deals with many aspects of grhastha life. Couples are encouraged to attend, however, everyone is welcome, even if the spouse cannot attend or if not yet married. Devotees can indicate their availability for the course by filling up a preliminary registration form here. HAPPY MARRIAGES. HAPPY FAMILIES. STRONG ISKCON.